I appreciate all the nice compliments regarding my insanity that is my seasonal decorations! I decided to answer many of your question,"How do you do it all?" by keeping a minute by minute log today of my time. It was very interesting! I think I might do it tomorrow too. And of course, I'll popst about it! As well as my wedding day. IF I can get someone to help me scan all those puppies. And here we have Ellie's Halloween party. These were outside her classroom door. In case you are wondering, the other icon beside the heart is a star! Ellie is trying to learn to do the five point star with a single pencil stroke. Hmmmm... getting close?! I was also in full costume!! As far as I know, the only person in the school in costume. She and her friends were all giggly as I came in swooping my cape and being a full on super hero! Look how cute Mrs. Gaskin had their tables prepped. She is right up my alley! These plain white bags were so cute!! And THIS is how Ellie stopped to pose for me. Logan with Ellie all wrapped up around him. I might have been in costume, but I was a DUD of a mama when it came to refreshments! I guess I missed the memo for bringing a snack! Of course, I would've BOUGHT them, but still, I would've participated. Not sure how I missed that note. But, the class moms did a super great job anyway! I also totally loved the little hats that Mrs. Gaskin had them make. Here is Sarah, Isabella's mom. I don't know what I'd do without her! She takes Ellie to dancing AND gymnastics every single week. That is so, so, so helpful!! It means I don't have to take off to get her there. And it means I don't have to figure out what to do with BOTH of my girls. Gabbi has dancing 1 1/2 hours before Ellie and 1 hour before Ellie in gymnastics. Cute food. Cute kids. Cute party! Here we have Logan, Ellie's newest favorite kid in the class... in the green. Oh. Here he is too. She just saw this picture and told me, "Mom, show dad! Hey, dad. This is Logan. He's cute, isn't he?" Todd said, "NO he isn't cute!" She said, "He is, isn't he mom?" I had to be honest!! He is a doll! His mom, Ashlea, is the other room mom. THey are moving to Georgia next year. Ellie has that all worked out too! She said, "That doesn't matter. Uncle Toby lives in Georgia, so we can go visit Logan." I mean, hey... she knows somebody in Georgia, so surely she'll see him around. Uncle Toby... you ready?! This is Jansen. She and Ellie have been friends since they were about 3. Look at this little party. I love a festive teacher!! And can you believe that she wore ruffled pants?! The stars must've been perfectly aligned for her to wear what I laid out. And here she is with her mama, BatWoman. I had taken off my red wig cause I was getting a killer headache from it! But my rubber gloves were still perfectly intact! Thank you, Mrs. Gaskin, for a great Halloween party and a great start to our first year of school. We really hit the motherload when it comes to awesome kindergarten teachers! What a great party and how cool were you!!! Ellie's face tells the whole story...she was elated that you were there! That in itself is priceless. I can actually remember some of the room mothers and parties we had (back in the OLD days). Things like that remain with you as it will with your kiddos. Thank you for sharing these wonderful photos. SO fun! I sure miss the days when our schools here allowed all the specific holiday parties. Between all the food allergies and different beliefs, they've long since eliminated the parties for the kids, along with the Christmas programs. Your an awesome Mom!. I love Ellie's expression when she saw you. Don't worry Mo, when it is your turn to bring snacks for a party - the room mom will call you! ;) you are still good. Ellie can come stay with us to visit Logan. She and my 5 year old would be a pair. What a cool party. Love the mummy hot dogs. I wouldn't worry about not bringing snacks. It looks like they had plenty. Yes, her teacher is a winner!!! That's what makes memories for children. The food will be there, but it takes a special person to provide the extra touch! I will never forget many years ago at Swartz when Kay Shipp (you know who she is) dressed up like a cow for Halloween and came to school. That kind of thing just didn't happen. There she was in her cow costume with her full "bag"... The kids never forgot it and her boys probably never forgave her for that one! Regardless of what the powers that be say...the extras are IMPORTANT.. When I visit with my former students via facebook, they have never shared that they remember a worksheet...it's always the trips, parties, projects, fun things that made LEARNING fun..because they did learn!!! I bet these "powers that be" would be surprised that I taught so many doctors, lawyers, senators, nurses, teachers, and on and on... and still had fun... and did not stress over a state test! Bet Jinni agrees. 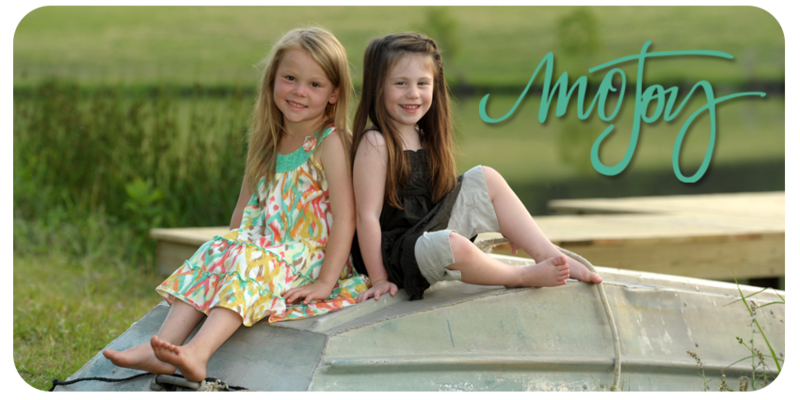 Keep on keeping on making memories for your two VERY BLESSED daughters! Looks like an awesome party. You are so lucky. Up north here we can't bring any handmade food, and no food treats for birthdays. At least we still have a Halloween party. That smile on her face when you surprised her by showing up is PRICELESS! And I snorted when I read what Todd said about Logan-HA! Cute! Cute! CUTE!!! Love the party!! There is NO WAY that would have happen at Bre's school. They don't even "acknowledge" it as HALLOWEEN they call it a FALL PARTY. Which BY THE WAY...they didn't have AT ALL!! (Blahhh!!). Didn't matter, I called her teacher and asked if I could still send Halloween suckers! She said "that was perfectly fine", that kinda made me feel a little better. It's the SMALL THINGS like this that kids REMEMBER!!! I agree with NANA in the above comment. She sounds like she was an AWESOME TEACHER!!! Awesome pics, yep, she's right up your alley! And HECK YEAH come on over to Georgia, and if Uncle Toby isn't home, just come on over to Savannah! Wow that looks like a fantastic party! I LOVE the look on Ellie's face when she spotted her Mamma...... Precious! Mel, I think your the only person who could wear a wig only to take it off and have FAB hair!! Mine would be stuck to my head and sticking out every witch (I know the spells is wrong...... But it was Halloween)!! I hate that I missed Kenner and Ellie's Halloween Party. Bruin was sick that day and I had to stay home with him. YUCK! Glad to see the pics. I asked Kenner about it and all he would say was that it was fine.